How early do you start shopping for the holidays? It may sound funny but we don't stop. We kick it up a notch in the later months but all through the year, we try to put back a little bit here and there to take the sting out of the big holiday season. We have four of our own kids, so many nieces and nephews, and one beautiful great nephew that we like to get stuff for. Not to mention birthdays!! Yes, they all grow throughout the year at some point. 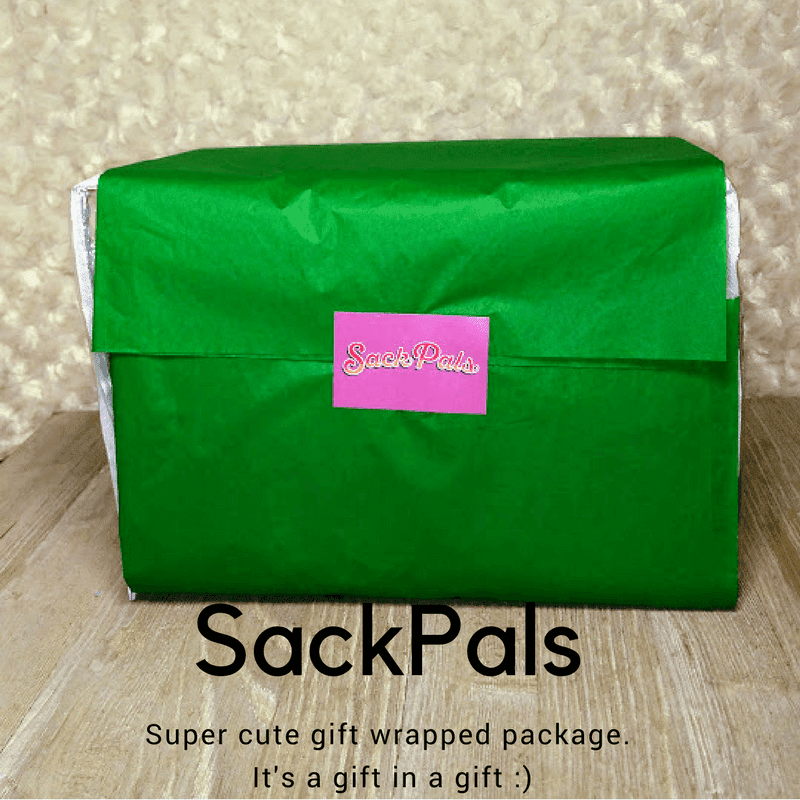 We are always looking out for great products that make awesome gifts for kids. 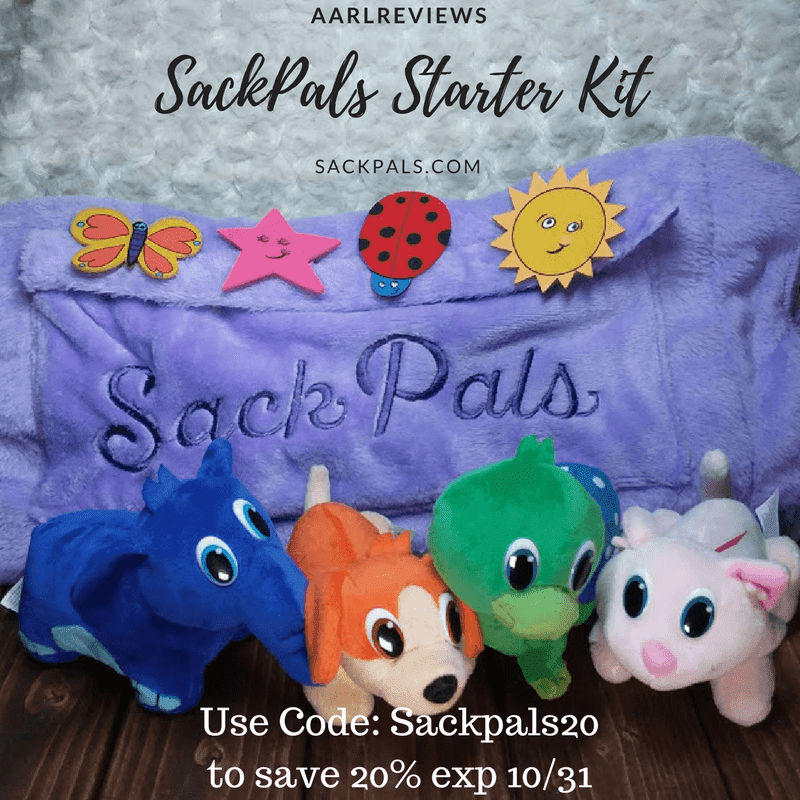 That being said, have you heard of Sack Pals? This is a cute blanket that is also a treasure chest of plush wonder!! Do you have a toddler? Do you remember when your little guys were still little and the meltdowns were completely surprising? Did you ever have a blanket moment? One of those moments where said toddler is snuggled up in their favorite blanket and playing with their toys and out of nowhere- it falls. Oh My Goodness, the whole world has to stop rotating until this toy is happily back in the kid's hand and the blanket is just right. Wait, I have another great memory. What about the trips in the car where your sweet little bundle is playing in their car seat and the toy hits the floor. And- OH NO, You are driving and you can't reach it. The shrill screams for the toy that is out of reach are bound to make a 50 car pile up if it's not fixed NOW. HAHAHA It's amazing how a 20-40 lb body can rule the world!! Well, we can't be the only ones that have experienced this because there is a blanket that fixes this whole situation. From opening the package, it's a fun gift. The plastic zippered package comes in a cute tissue wrap with a SackPals logo sticker. The blanket is super soft and allows for covering up and snuggling but the bonus is, the toys stick to is so there is no dropping, reaching, uncovering. Then, the treasure chest magic- turn it inside out and it's a storage for all of the toys. 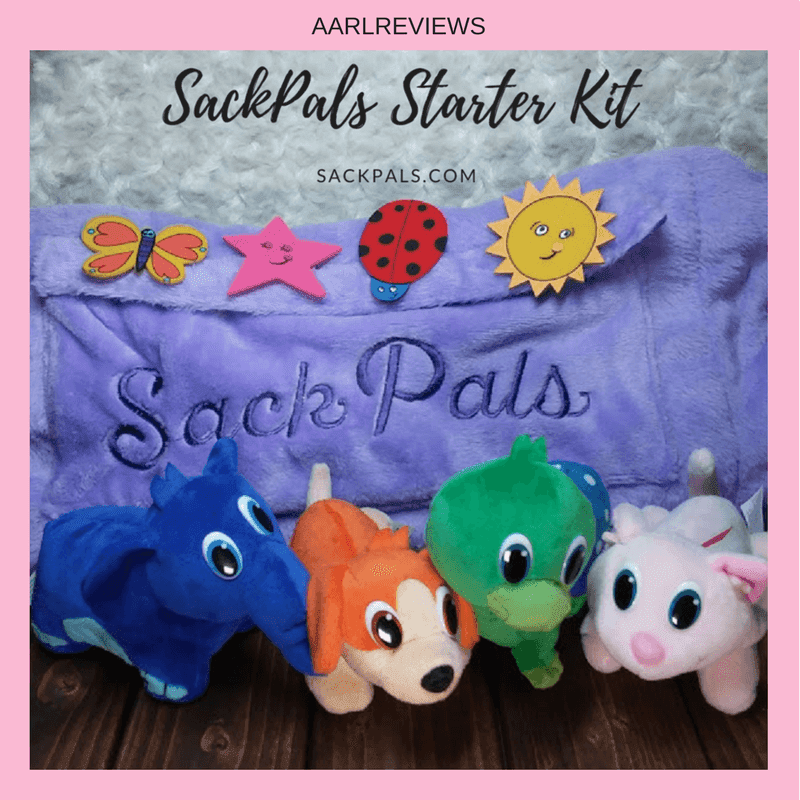 Sack Pals have the cutest little animals and other sack bling that stick right to the dark purple that is flat and easy to move around. That's what makes it so fun. The stick to it so they don't fall but they don't stick so hard that they pull the blanket off when they pluck the animals off.